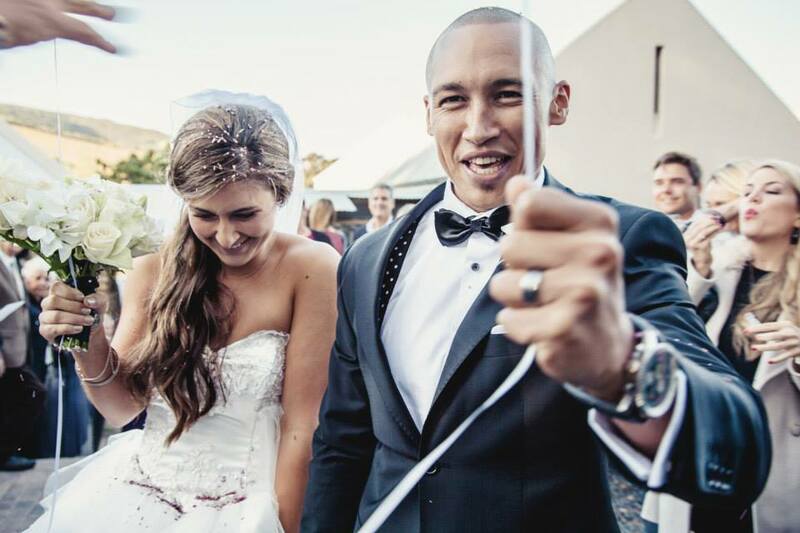 Nicol and Bjorn wedding on SA Weddings website – words of thanks! They got married on the 9th May 2015. They had a lovely wedding in Durbaville. We got to share their journey as their wedding planners on the day. We also assisted with the flower set-up and deco. Thanks for choosing us your planners for the big day! What a fairy tale … It all began when my amazing fiancé proposed in Paris last year. Leading up to our magical day I decided to plan and do as much as I could, as I love being apart of every element. We managed to save a lot of costs and made sure what was important to us was what we focused on. We had lots of friends giving advice on how to make the day last and how to prepare. The wedding was just incredible. It was held at cassia, at Nitida wines. It was a million times more amazing than I even thought it would be. I had friends and family help me get decor ready, cake made and personal elements. On the day I made sure I was relaxed and enjoyed every minute, from waking up in the morning where I could meditate and have me time, to the hair and make up with the girls with bubbly, to walking down the isle in my princess dress with my amazing father to be handed to the man of my dreams. I was so relaxed, I was so calm, I was taking in every moment and letting it capture me. I was in my element. I had the help of Pippa, an amazing wedding planner who helped me on the day set up and coordinate the wedding. She worked side by side with me to give me exactly what I wanted the day to be. We wanted our wedding to be fun, we wanted our friends and family to feel like they were at our home with us and enjoying a normal night, just a lot more magical, so we had candle light and flowers and fun elements, everything that we have in our home as it is. We are lucky enough to be able to call Marc Lottering a close friend of ours and he was kind enough to MC the evening, everyone was in stitches. Before we knew it the dance floor and photo booth were open, even the 80 & 90 year old grannies were hitting the dance floor and striking a pose on the couch. We wish this extra special couple lots of love.